A round-the-world learning adventure with so much to colour-in and discover! 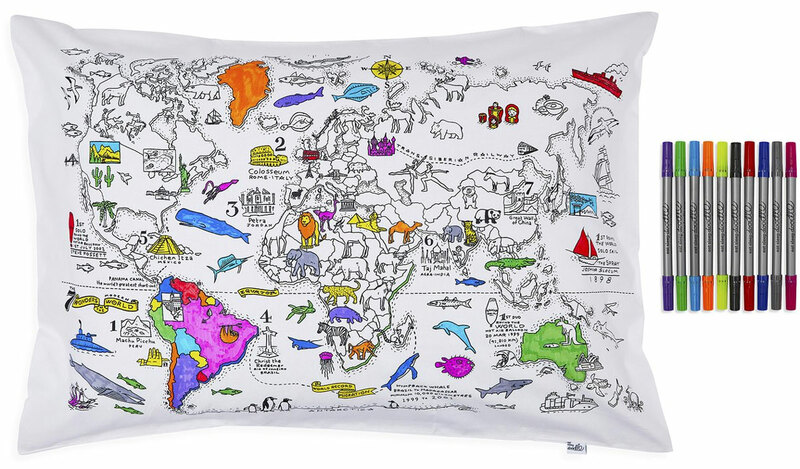 Kids will love the world map pillowcase, featuring a beautiful, specially commissioned hand-drawn illustration packed full of fun facts, wild animals and exotic sea creatures. They can colour-in using the enclosed pack of wash-out fabric pens (the ink all washes out on a warm machine wash, of course!) as they learn through imaginative and creative play. Geography homework was never so appealing! 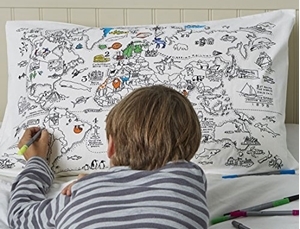 Pack contains a single 100% cotton pillowcase with world map print on one-side. Pens included.